A man wakes up in an area he doesn’t know, knowing he is being chased. He cannot remember a thing about himself, but he knows that he needs to get away from wherever he is. Going on the run and checking the items he has with him, he makes the discovery that his name is Frank Pollard. He has way too much cash on hand, and two different passport documents, meaning he is more confused than ever. A supernatural being shooting blue chases him, and Frank is desperate to survive, though he has no idea what is really going on. As if being chased is not bad enough, Frank is having issues sleeping. Every time he does, something is wrong when he wakes up – unknown money has appeared, or worse, he is covered in blood that is surely not his own. Bobby and Julie Dakota are happily married private investigators with their own firm. Taking on cases and living mostly frugally, the two are working toward The Dream. Julie’s brother Thomas has Down Syndrome, and is living in a home, though he is happy there. Julie resents that Thomas is not with her or Bobby, but their irregular hours will not allow it. Thomas knows that something bad is coming for Julie, but doesn’t know who or what it is. Sending warnings to Bobby that Julie is in danger, Thomas hopes that Julie will be protected. Thomas may have some health drawbacks, but he is smarter than even he realises. Frank Pollard goes to see Bobby and Julie in a desperate attempt to find out who he is, where he is from, what happens to him at night, as well as who the hell is hunting him and why. Initially Bobby, in his boyish and excitable ways, cannot wait to take the case, even though Julie is reluctant. However, shortly after Frank shares some news, it becomes evident that Julie is very interested in taking the case, though Bobby is sure that something bad is going to happen, and tries to tell Frank to go somewhere else. Julie wins the argument, and they take Frank’s case, because he is a likable guy and they feel sorry for him. Checking him into a hospital, they have an employee watching over him. When Frank magically disappears in the middle of the night, it appears that there is more to the case than meets the eye. Who is hunting Frank? Why are they so intent on finding him, and what do they want from him? Is Julie in danger? What about this case is so twisted that it have left ripples in their lives? Who is Frank, where does the money come from, and what on Earth is happening to him at night? What abilities does Frank have? Well, that was unexpected. I really, really liked this book. It took me a while to embrace the supernatural and inexplicable side of this novel, which is weird, because I can usually slip into that pretty quickly. Maybe it had to do with the fact that everything started so exceptionally normal (mostly) and then just jumped into that rabbit hole. Regardless, I enjoyed the book. The writing flowed, and there was a large array of characters to like and root for as well. There was some great humour, too, which I enjoyed. Reading about Thomas and how he thought really crushed me, so I thought Koontz did a great job writing about a character with Down Syndrome, it was really sad, but what a beautiful character. The book has a steady and solid pace, and reveals the secrets to you every now and then, nothing too fast, but never drawing the suspense out long enough to frustrate the hell out of you. The explanation for everything that came about was a pretty damn disgusting ordeal, I will not lie to you there. Nasty, nasty! Initially the chapters start off as really short and quick, just a few pages at a time, making for very fast reading, and nearing the end of the book they get a bit longer. It was so interesting chasing down the case with the Dakotas, and Frank’s desperation was almost palpable. You couldn’t help but worry about not knowing much about him, but get drawn in by his bizarre circumstances, and he came across as a really genuine guy, which helped his plight to entrance you even more. This entry was posted in Books and tagged Bobby Dakota, book reviews, books, Dean Koontz, decent, Frank Pollard, horror, Julie Dakota, Supernatural, Thomas, weird. Bookmark the permalink. This actually sounds pretty good. I wish It could get back into reading regularly…..
😦 You can do it if you want to! Sounds good and good job!! Thank you, thank you. It was worth the read! LOL! Thanks a lot, I will see what I can get my hands on and look into them, much appreciated! I love this book! 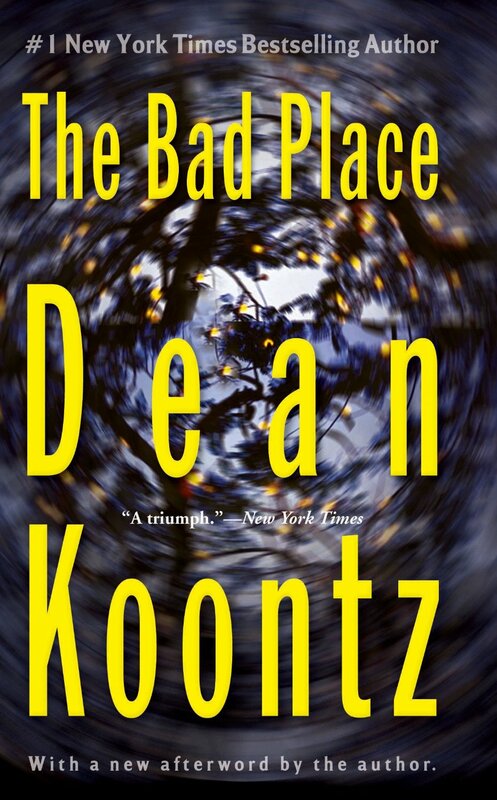 It was one of the very first Dean Koontz books I’ve ever read, and it still remains one of my favourites. It was quite an enjoyable one!